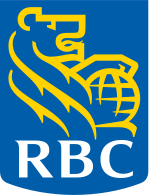 As Canada’s #1 brokerage firm1, RBC Dominion Securities is always looking for new ways to recruit investment advisors to its Canadian team. A recent review of recruitment efforts revealed that men are more likely to join the firm directly after postsecondary education, while women often become investment advisors after a successful career in another field. The organization decided to highlight this trend in a new series of videos designed to recruit women who have not previously considered a career as an investment advisor.